Cork & Cleaver Social Kitchen is the labor of love of Brian Okin (formerly of Verve, Fountain, and Luxe and founder of the monthly Dinner in the Dark productions) and his brother-in-law Adam Bostwick (who I loved at Melange). The restaurant contains a full bar and seats 70 people. The talented duo set out to make a different kind of restaurant from the very beginning. 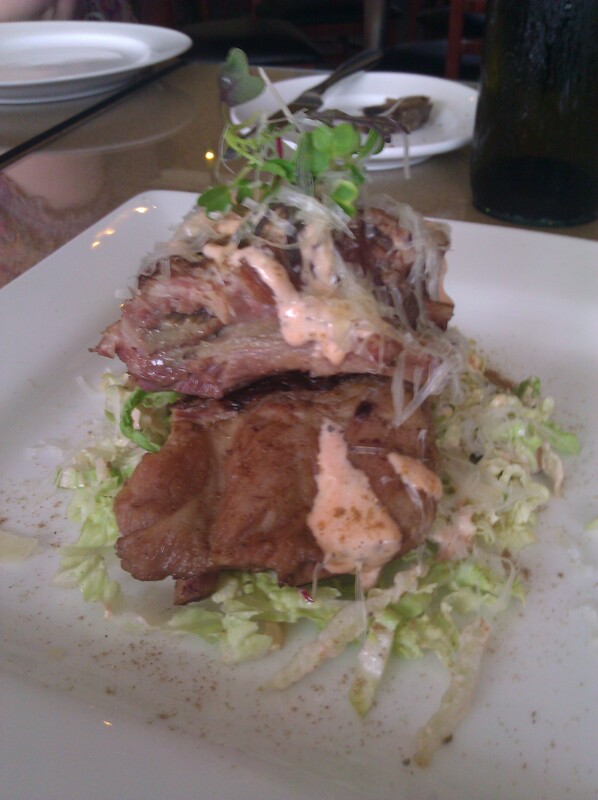 They are best known for their “Reuben Ribs” as well as a eclectic style. I recently attended their pop-up at Toast, which featured a “Hillbilly Picnic” complete with Kool-Aid-inspired cocktails, fried chicken deviled eggs, chips and dip, bologna fried rice (with fried Spam) and potato salad, chicken and tuna salads, and the most amazing homemade Ambrosia (with panna cotta, homemade “Cool Whip”, roasted pineapples and cherries and toasted pistachios). It was divine from start to finish! It was easily the best meal I have had all year. I have been to Cork and Cleaver twice now, and if it was closer I would probably be there a lot more often. It is located on Broadview Road at the intersection with Wallings Road in Broadview Heights. It is an unassuming strip mall just down from Danny Boy’s Pizza (formerly Pipers III), but don’t let the outside fool you. The inside is inviting, and an amazing experience awaits you. 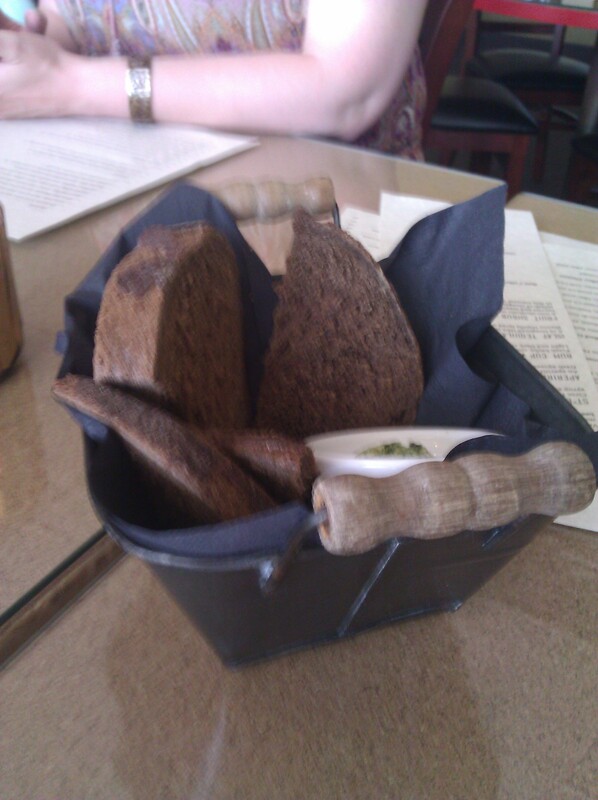 The bread service features dense, dark pumpernickle bread with a compound butter of butter, garlic, spinach, and Parmesan cheese. The butter is served soft, and it is easy to spread on the dense pumpernickle. Both times I have not strayed from the same cocktail, the St*ella*r, which is made with Ciroc Peach vodka shaken with cream and honey syrup and then ‘fizzed’ with sparkling soda water. 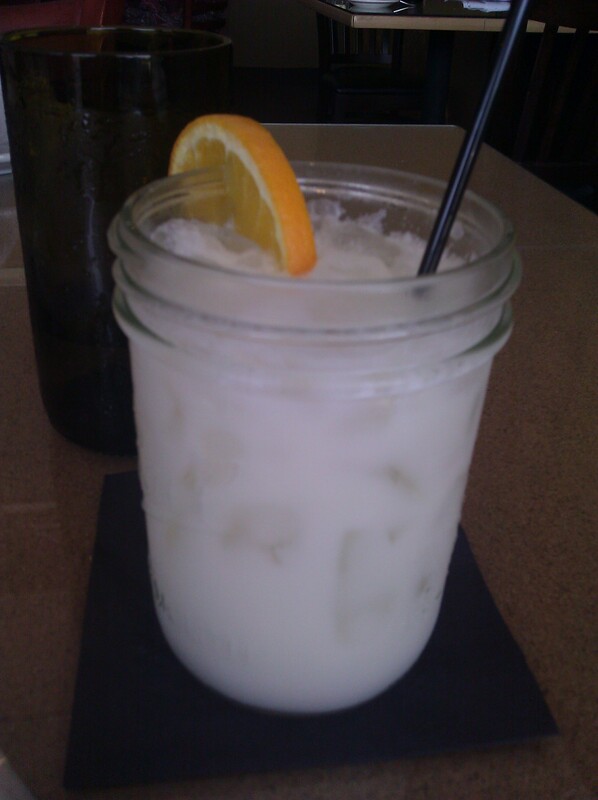 It is served in a Mason jar. The drinks are not served in the jars to be hipster. One of the chef’s sons is named Mason, hence the loving homage. The Mason’s Mule also tempts me, but I can’t get away from the St*ella*r. It’s that good. The first time I was there I had to order the Reuben Ribs. They were amazing. The ribs had been corned on the bone, tasting like bone-in corned beef/pork. The ribs are then paired with a 1,000 Island-dressed slaw, grated Gruyere, and sprinkle of rye salt. It tastes like a Reuben sandwich without the bread. It is so good! Another unique appetizer is the Fried Green Tomatoes. The platter features deep-fried tomatillos. The fried morsels are crisp and juicy with a dip of spicy aioli. My friend who ordered them was absolutely in love with them once he tried them. I had a bite, and they were definitely one of the best fried green tomatoes I have ever had. I was very impressed by the light and fluffy omelet. I have never seen an omelet puff up that much, but they would not tell me their secret to getting it so fluffy. My friend who ordered it was very pleased with it, and she is not an easy diner to please. 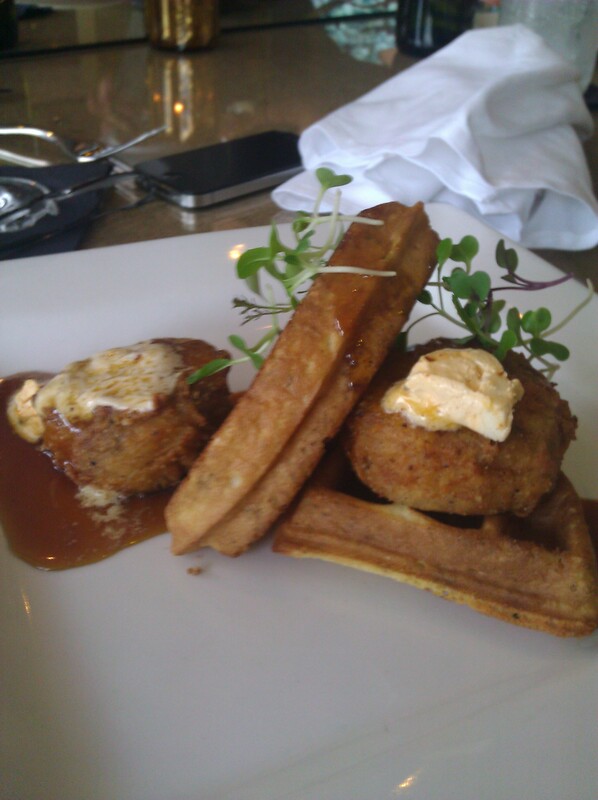 The chicken and waffles are also a great choice. It is made with fried chicken, thyme waffle, spicy butter, savory maple , but the fried chicken is not your standard fried pieces of chicken. The meat is brined, confited, stripped from the bones, molded into nuggets, breaded and deep fried. The thyme waffle pairs well with it and complements it nicely. It was amazingly good. 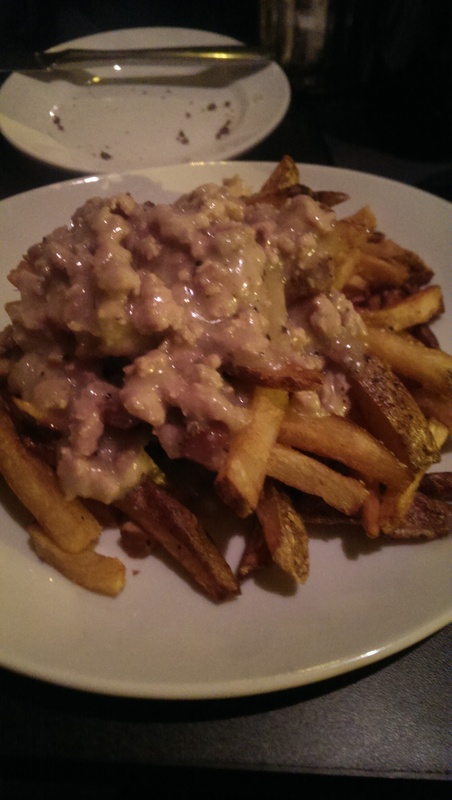 The second time I was there I ordered the Verve Fries, which features hand cut fries topped with garlic sausage gravy. It was a high-end version of poutine. The sausage gravy was delicious, and the fries were fried perfectly. 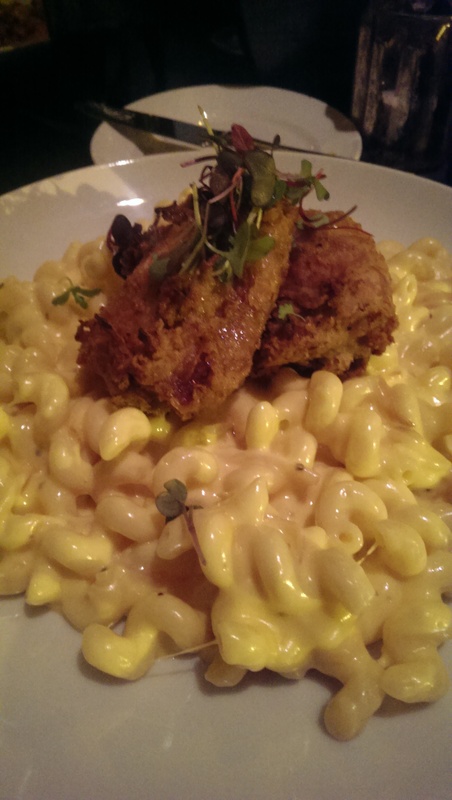 I was hell-bent on ordering the Fried Chicken and Macaroni and Cheese, despite ordering a heap of Verve Fries. The fried chicken is topped with a garlic honey, so it reminded me a bit of Barberton chicken. The fried chicken is also brined and confited, but it stays on the bone. I rolled out of there that night in a carb coma, but I was happy. The friends I was dining with the second time are friends with Brian and Adam, and the chefs treated us to a board of their desserts. 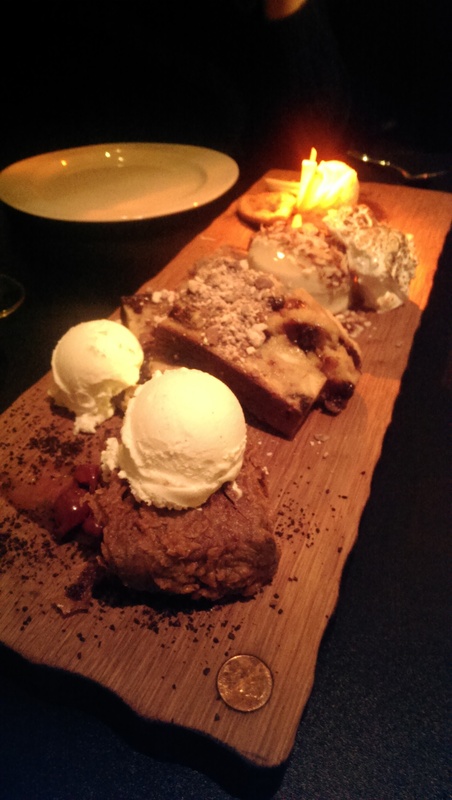 I wish I had had more room for dessert, because all four choices were amazing. They served us (from bottom to top) Country Fried Brownie (with Red-eye caramel, pickled cherries, and vanilla ice cream), their C&C Bread Pudding with vanilla bean ice cream), Banana Panna Cotta (my absolute favorite, topped with banana bread crumble, toasted marshmallow, and coconut) and Apples and Brie (with apple pie pierogis, brie ice cream and caramel). If you like inventive food prepared perfectly you need to give this restaurant a try. You will be happy you made the drive. The restaurant is open Tuesday through Saturday. Check the website for times.